For bulk orders, please call 877-529-4332 – Receive up to 50% off! 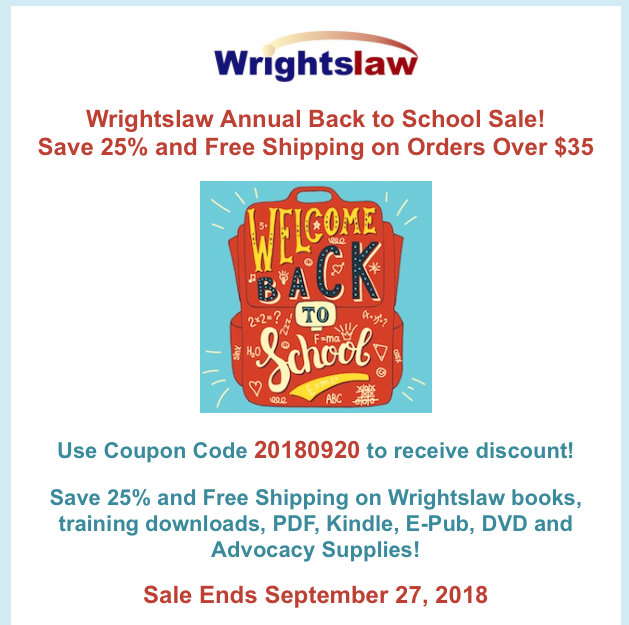 This entry was posted in Wrightslaw Products and tagged Back to School Sale, Wrightslaw Books by Wrightslaw. Bookmark the permalink.